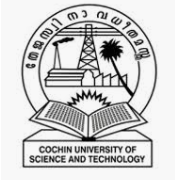 The Department of Mathematics at Cochin University of Science & Technology (CUSAT) is organizing the International Conference on Semigroups and Applications during December 9-12. Submission Deadline: 30th September 2019. Acceptance Notification: 31st October 2019. All papers in PDF format must be submitted to info@icsaa.in. Submitted papers will be reviewed and the selected paper will be published in conference proceedings by a reputed publisher. Indian Delegates: Rs. 2500 (On or Before 10th November 2019). Indian Delegates: Rs. 3000 (After 10th November 2019). Foreign Delegates: USD 200 (On or Before 10th November 2019). Foreign Delegates: USD 250 (After 10th November 2019).